These brushes require Photoshop CS5 or higher and a pressure sensitive graphics tablet. 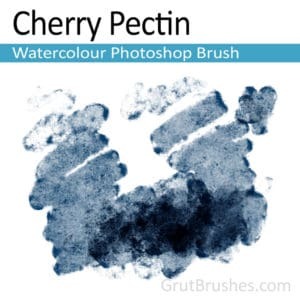 You can download the ‘Cherry Pectin’ Watercolor Photoshop brush for free. It’s one of my realistic watercolour brushes, it responds to stylus pressure, has a wet watery edge and a lot of rich real watercolor texture. Click below to get it for free! Get it for FREEclick to add to cart and checkout! + Hundreds of Other Brushes!! !